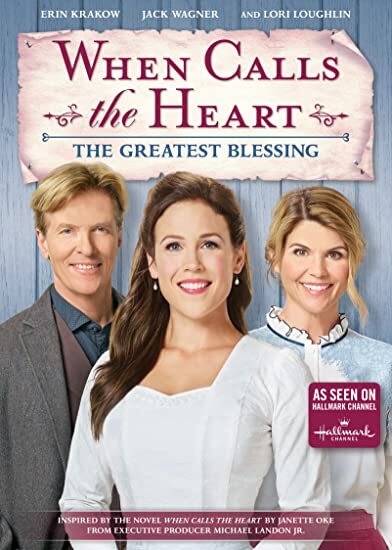 When Calls the Heart: The Greatest Blessing - BUY THIS BLU-RAY! After a group of orphans are stranded for the holidays, Abigail and the other residents of Hope Valley band together to make this an unforgettable Christmas. Meanwhile, Elizabeth prepares for her new life ... while teaching her students the art of selfless giving. THEN SEND IN YOUR NAME, ADDRESS & 5 COMMENTS TO contests@efilmcritic.com. Put "LORI LOUGHLIN IS THE GREATEST BLESSING" in the subject line and cross your fingers. We will draw names and one of the prizes could be yours. Only 1 entry per household.